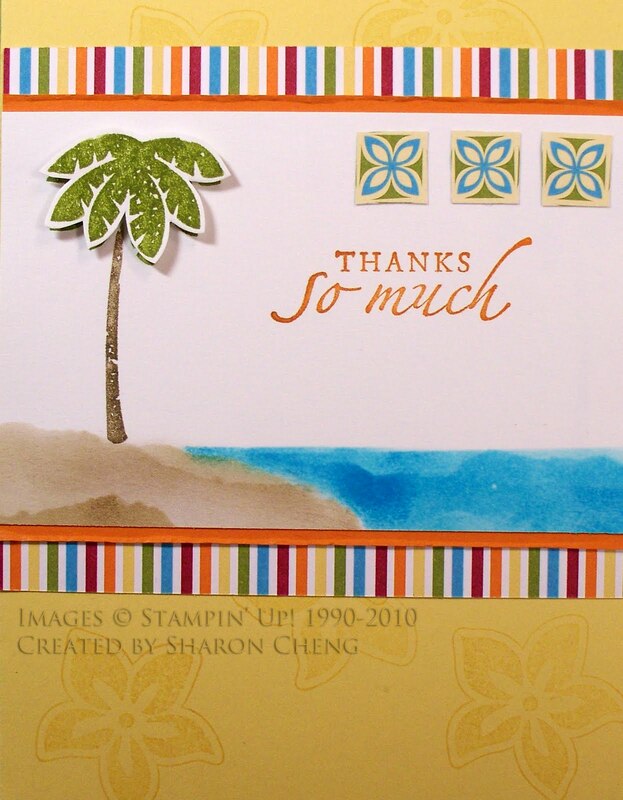 This card is made with one of the new stamp sets in the Summer mini catalog called Tropical Party. 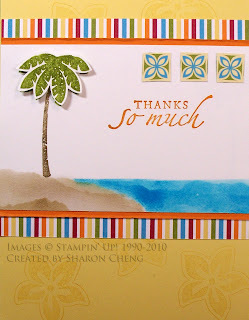 It reminds me of the trip I earned to Hawaii through Stampin' Up! I used Soft Suede to sponge on the sand and Tempting Turquoise for the water. I used the designer series paper, Island Oasis, for the stripes and three small squares across the top right.